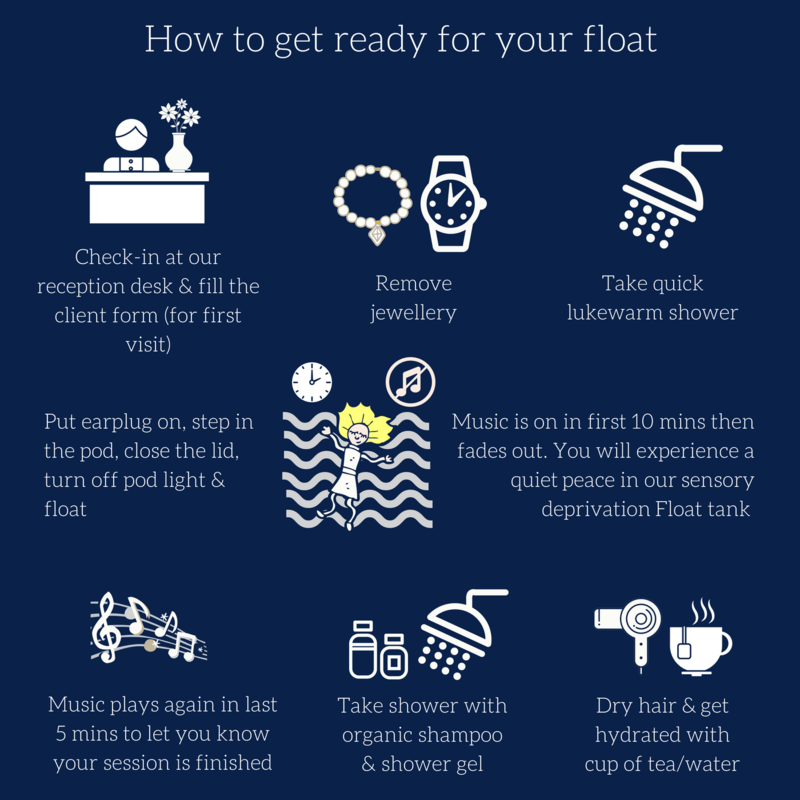 Each client at Hobart Float Spa is provided their own float room with a Dream Pod float tank, shower, and all the necessities for a comfortable float including a towel, earplugs, shampoo, conditioner and soap. Visit the bathroom prior to entering your private float room, please ask your float host for access. Remove any makeup and jewelry at the dresser in the hallway. Put Vaseline over any abrasions, cuts or rashes, and put in the provided earplugs if desired. Take a quick luke-warm shower, please do not use conditioner. Step into the tank(as gently as possible to avoid splashing and creating waves), lay back and relax. The Epsom salts make it easy to float, however you may find that using the neck pillow will help you ease into a more relaxed state. Close the lid and turn off the light if you desire a sensory deprivation experience. Music will play and fade out after ten minutes, starting again for the last five minutes to let you know your session is almost over. When you hear the music, take your time to sit up and regain your balance – be careful not to get salty water in your eyes, there is a spray bottle and face cloth nearby should you need to remove any drops. Wipe excess water from your body in the tank and exit the float pod when you are ready. Have another shower using shampoo, conditioner and body soap to rinse the salt from your body, hair and ears. If you are having a massage after your float, please change into the robe provided. Get dressed and enjoy a cup of tea or glass of water with us in the lounge area. Feel free to have a chat or sit and read or reflect on your float experience. You are welcome to call ahead or ask your float host any questions you may have on the day.